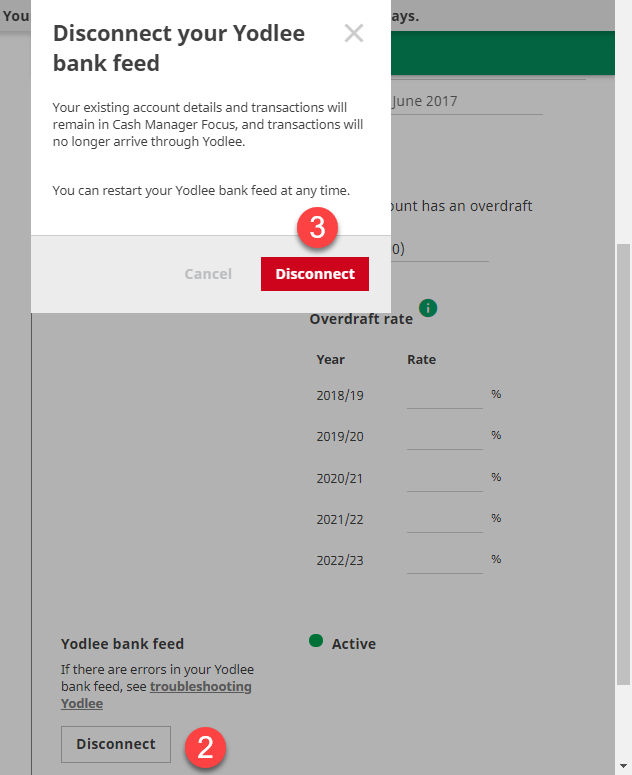 Go to Settings - Bank Accounts and select the bank account you want to disconnect from Yodlee. Scroll down to Yodlee bank feed and click on Disconnect. Confirm that you would like to disconnect the feed by clicking on the Disconnect button in the confirmation field.